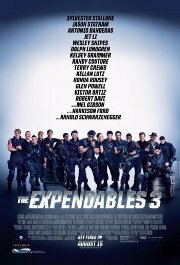 Featuring just about every living action movie star, the third outing in the series sees Barney and his team up against Stonebanks, who was the original co-founder of the Expendables before going his own way. In order to deal with this threat, Barney assembles a much younger and fitter team, hoping this will give him the edge against guile and experience. Expect lots of action and things going bang. The film was leaked onto the Net a few weeks ago, which, coupled with less-than-stellar reviews, does not bode well for commercial success.